Had to get up way to early for the 6:20 AM pickup. 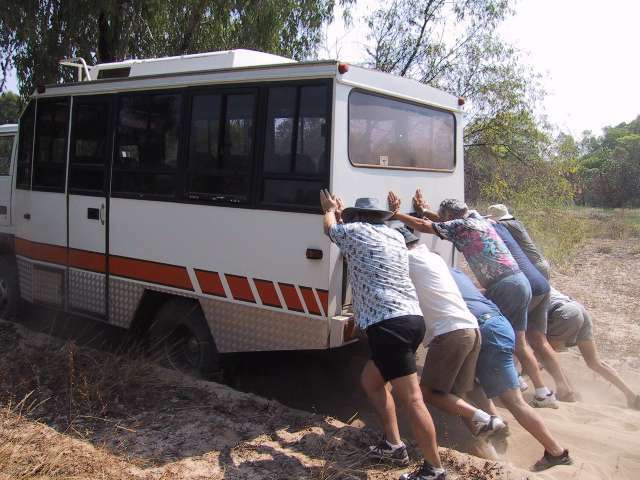 The coach made several more pickup stops before heading south out of Darwin. The coach was well equipped and less than half full. 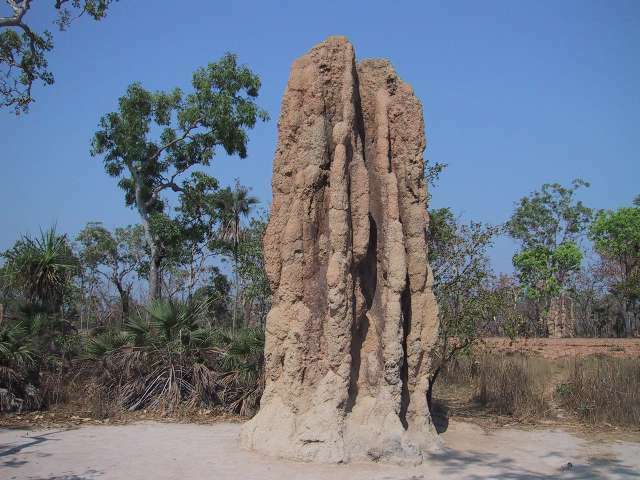 After stopping at the 'Old Bark Hut' for morning tea, we drove into Kakadu and onto Ubirr. 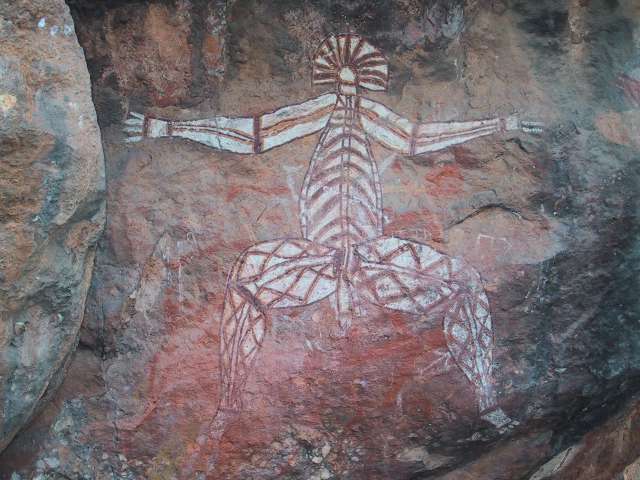 The driver took us to the Aboriginal paintings and the lookout. 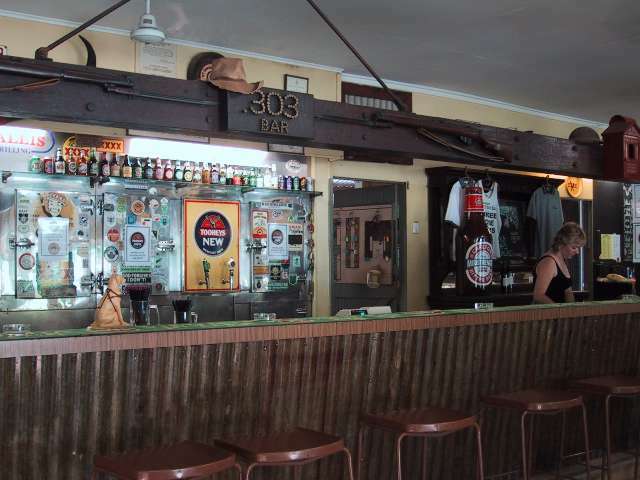 It was then back to the Border Store near East Alligator River for lunch of BBQ Barramundi. After lunch it was down to the river for a cruise with a couple of Aboriginal Guides. 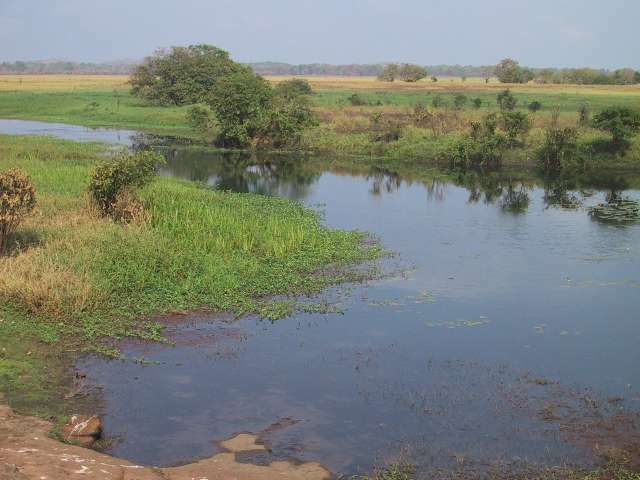 There were numerous crocodiles on the banks and in the river. 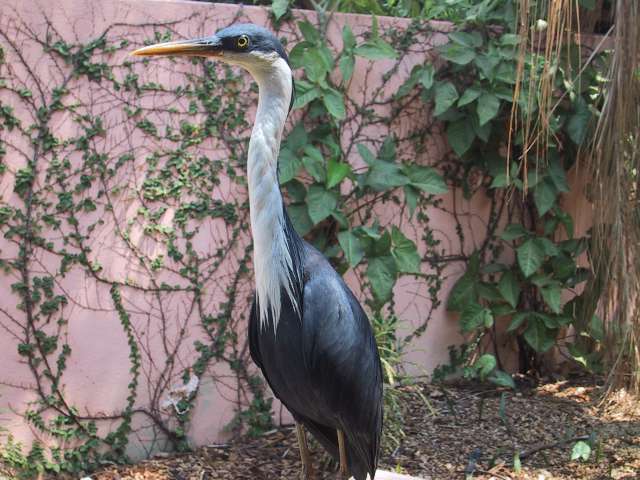 We drove through Jabiru for a quick town tour. 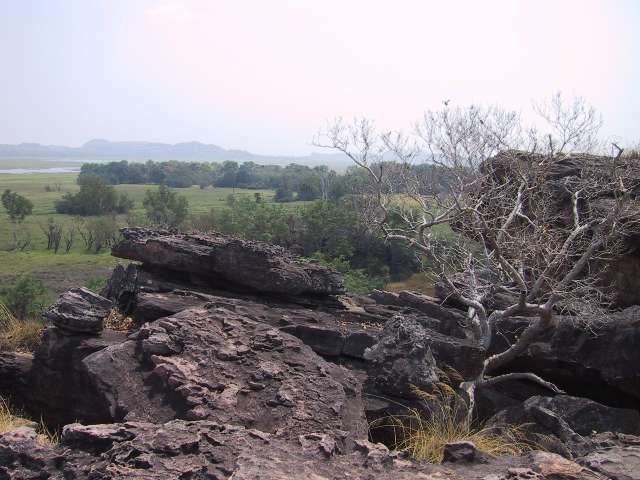 Passengers swapped busses at the Crocodile Hotel, and we were bussed out to the Kakadu Resort. 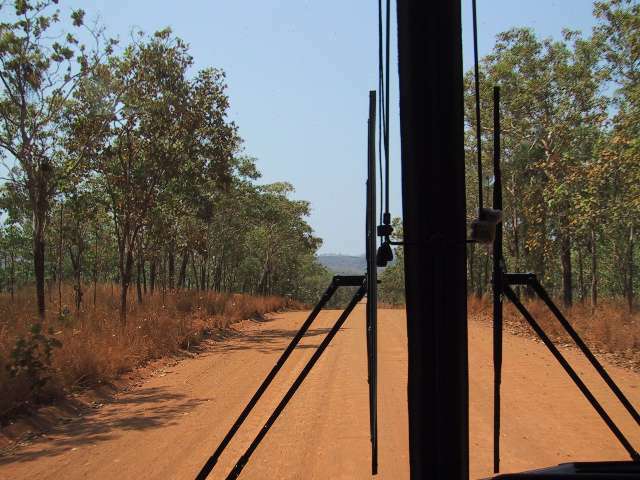 Tuesday was up early again for the bus back to the Crocodile Hotel to join a 4WD tour to Arnhem Land. 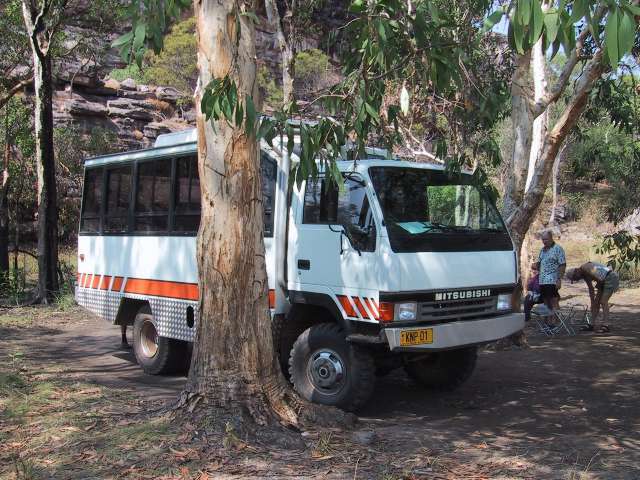 The 4WD was a truck/bus vehicle a little smaller than the one on the Kimberley tour. 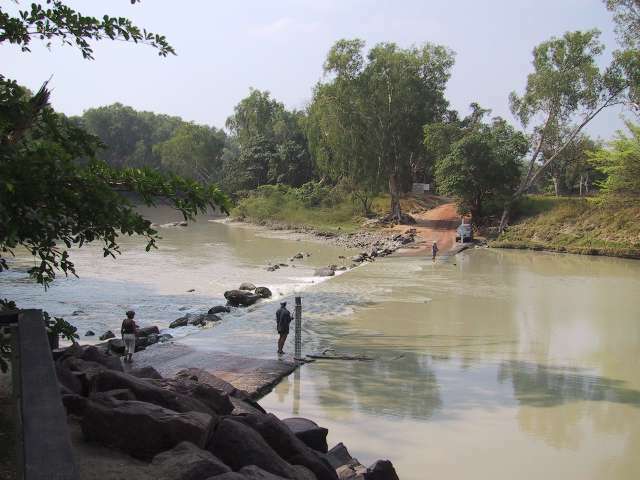 We crossed the river into Arnhem Land. We stopped at a billabong and an art site on the way in. 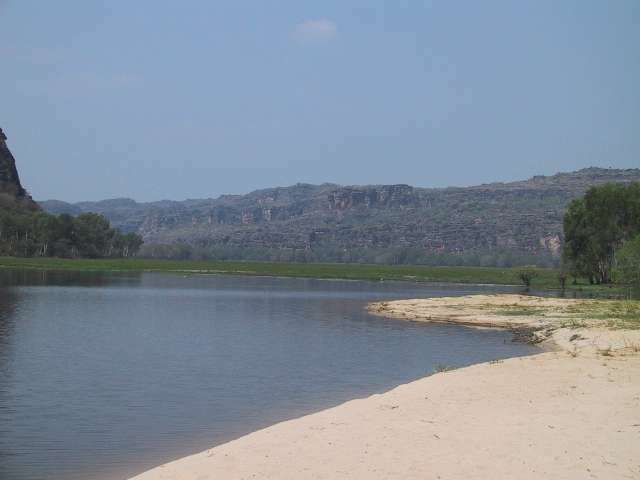 There were many rivers and water holes which looked inviting for a swim, but had crocodiles in them. 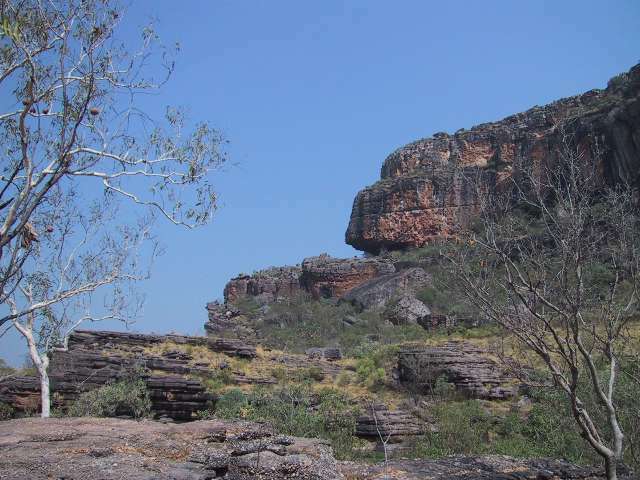 Our guide told us about the traditional Aboriginal ways, as well as they way they live these days. Such as still going hunting with a 'spear', but that the spear had a trigger. 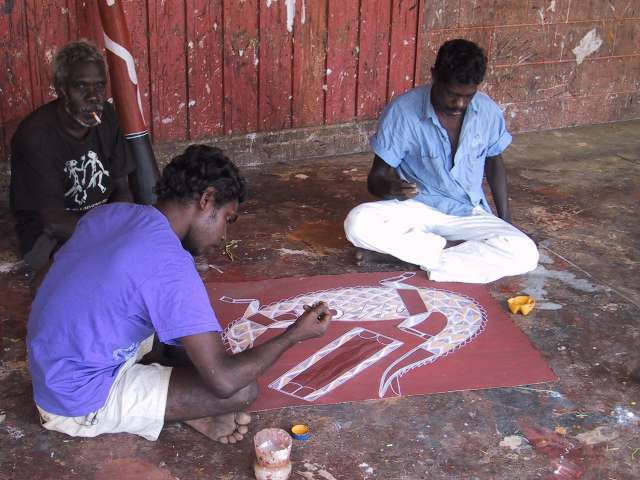 At the Oinpellie community, we stopped at the art centre and watched men painting, and looked through the art store. On the way out the 4WD got stuck in the soft sand a couple of times, it was all off and push - see photo below. Wednesday saw another earlish start. 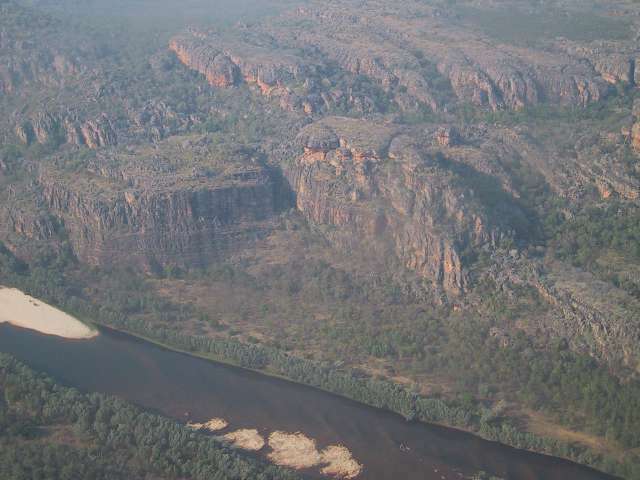 I joined a light aircraft flight over Kakadu for half and hour. Unfortunately their was a lot of smoke and haze which reduced the view somewhat. We stopped at Nourlangie Rock and saw more rock art. At Gunlom Falls we had out first swim, no crocodiles we were told, although there were still warning signs up. Katherine was the stop for the night. 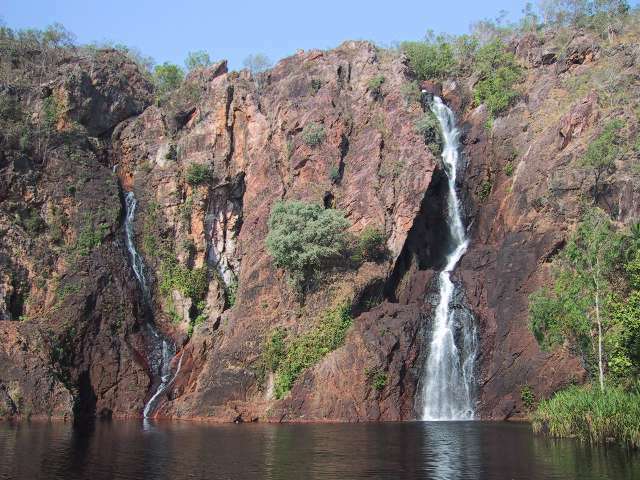 Another early start Thursday, down to the river for a cruise through the Katherine Gorge. The early start was worth it as the air was cool, and the morning light enhanced the photos. 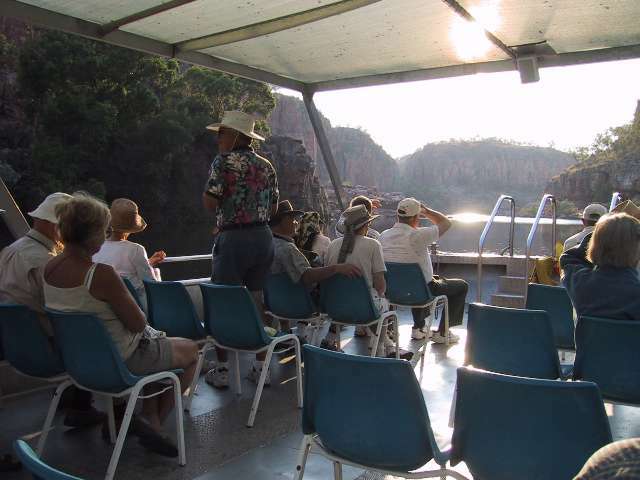 After cruising the first part of the gorge, we walked to another boat and cruised the second section. The gorge was quite spectactular with many photo opportunities. 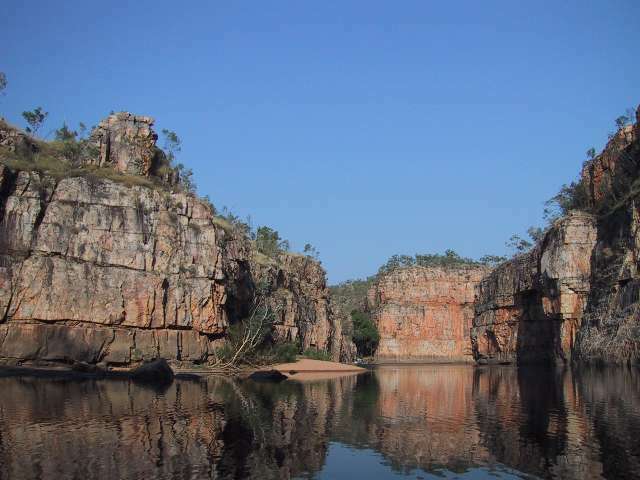 By the time we cruised back many people were out in rental canoes paddling up the gorge. Lunch was 'barra & chips' at an outback pub. 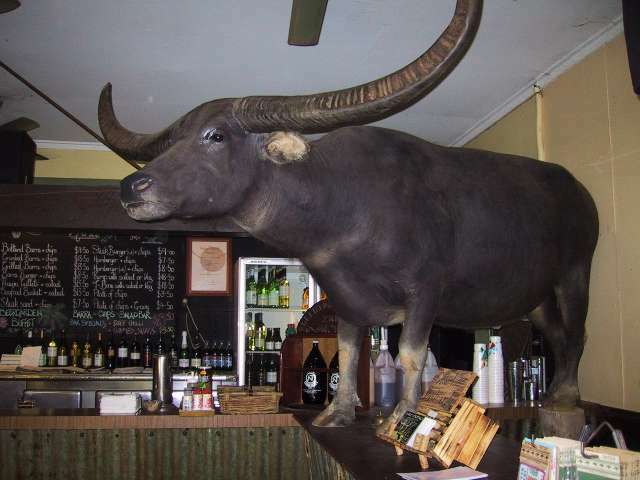 'Charlie' the buffalo from the first Crocodile Dundee movie was on the bar - stuffed. We stopped at Florence and Tolmer falls. 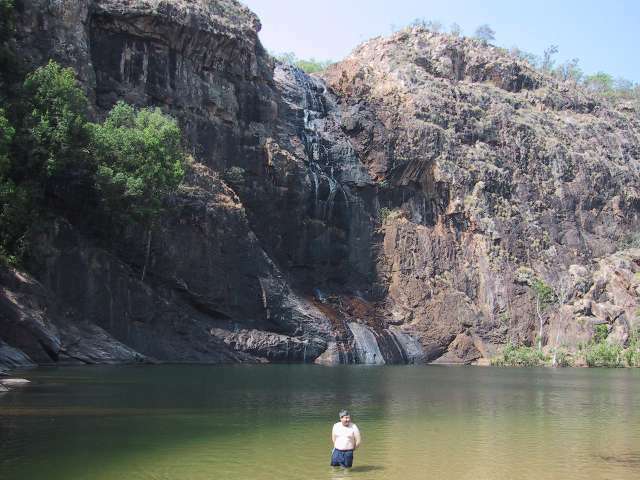 At Wangi falls we had another swim in the waterhole. 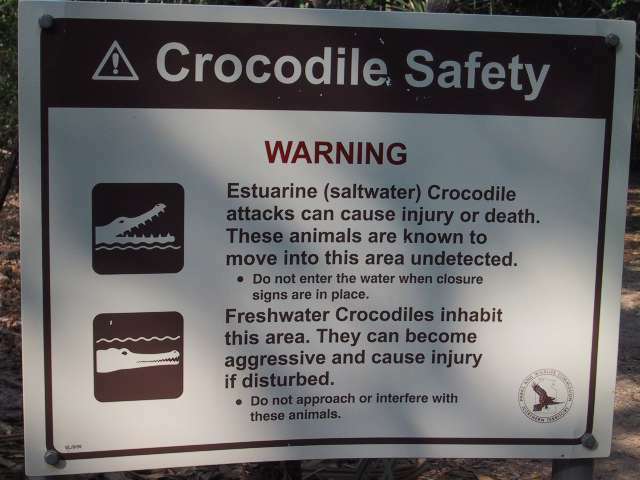 More croc warning signs, but all returned safely. Back to Darwin and dropped at the Holiday Inn - a bit of luxury at the end of the trip.